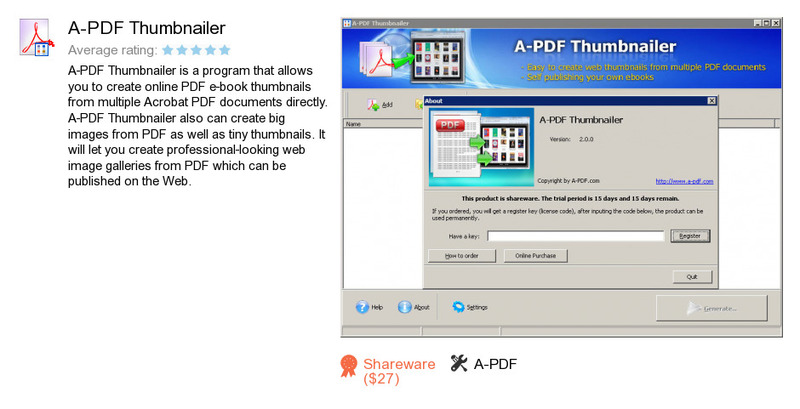 A-PDF Thumbnailer is an application developed by A-PDF. We know of versions 2.6, 2.1, 2.0, 1.2, 1.0. Version 2.6 is downloadable at our site. A-PDF Thumbnailer installation file has a size of 4,476,870 bytes. A-PDF also publishes A-PDF To Excel and A-PDF Number Pro.